I decided when I found out that I was Pregnant that I didn't want to do weekly updates so I thought it would be a good idea to do one now at 20 weeks to let you all catch up with what's been going on. My Hyperemesis Gravidarum has now settled a lot more than it was, I am now not being sick every day and can eat more meals which is very good. Although I still have my 'off' days a majority of the time I feel reasonably ok, which is a dramatic change to a few weeks ago. We have most of the baby's clothes now too which seems very strange but I have a very good reason for this... with Hyperemesis it is likely that around 30 weeks pregnant the sickness will return and I may become poorly again, so I have been buying clothes and other 'baby bits' since my gender scan at 16 weeks. Some people I have spoken to think that I may have done it all 'too early' but personally its allowed me to relax slightly now and know that I am prepared If the sickness does return (hopefully it doesn't!) Let me know below if you would like to see a blog post about my favourite baby items I have bought so far. I am also feeling little kicks and movements now which is a very strange feeling, every time it still surprises me. She is kicking me quite low down which can be quite uncomfortable but i'm sure she will start moving a lot more soon. 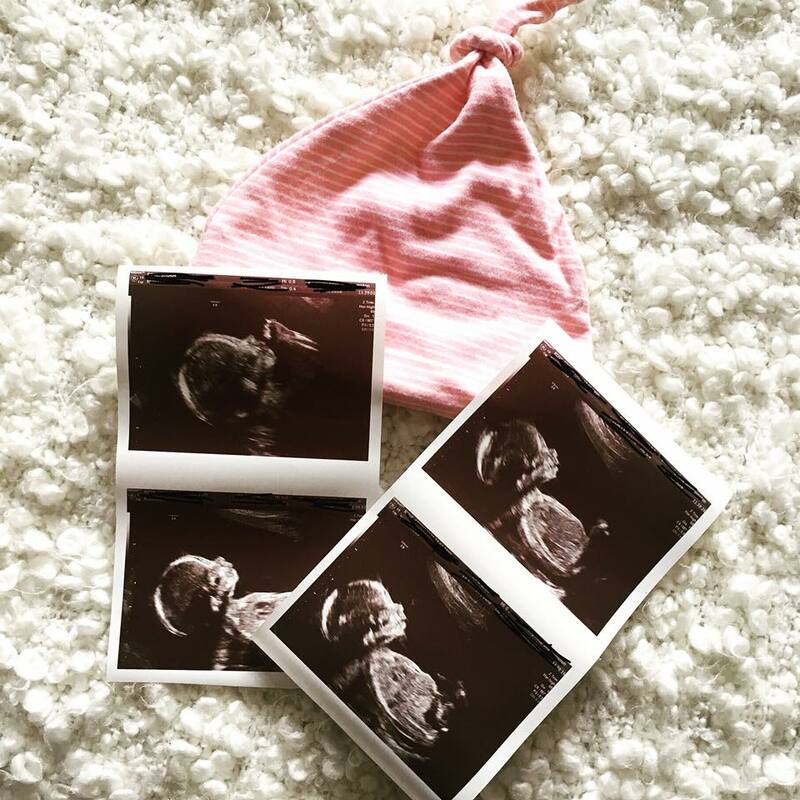 I also have had my 20 week anatomy scan which in the UK is the scan that checks that the baby is healthy and measuring at the right size. 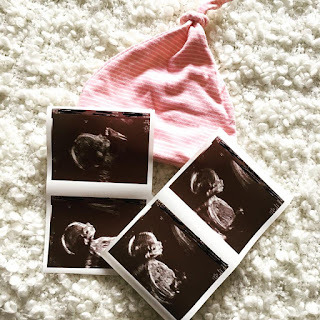 I was very nervous about having this scan (which is totally normal) because I was so sick at the beginning of the pregnancy I was worried that she may be measuring slightly small but she isn't, she is measuring totally normal. That's enough chatter now what about the baby? 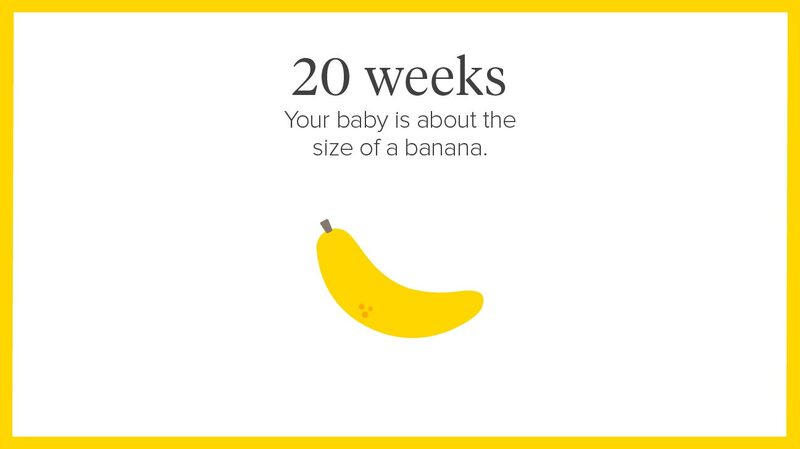 At 20 weeks Pregnant she is about the size of a Banana, which seems pretty big! 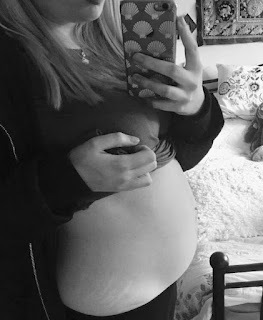 I have definitely got a bump now! I would just like to say a massive thank you again for all the support and lovely comments over on my Instagram from you all, it means a lot. I love being able to share this journey with you all and bring on the next 20 (ish) weeks!